Women child-bearing age may take calcium supplements to support babies and children's need for strong, healthy bones and teeth as they grow. 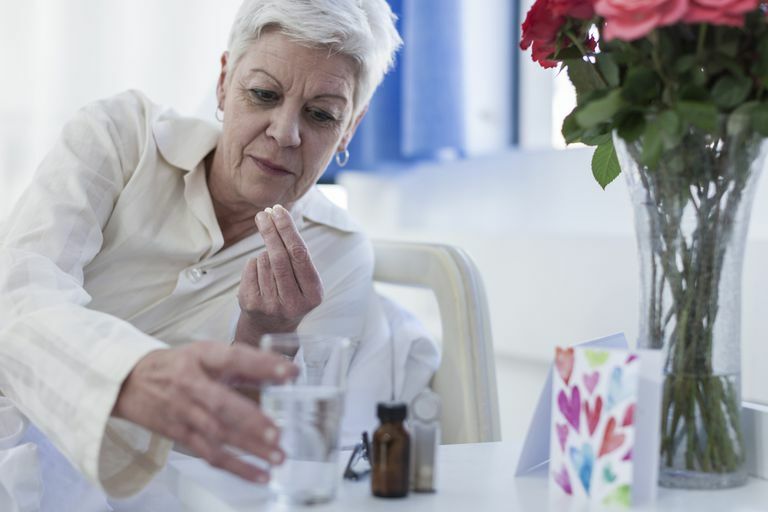 Post-menopausal women may also take supplements to stave off osteoporosis later in life. But you don't need to be having a baby, or going through menopause to take calcium supplements. Here are some ways any woman can enjoy the benefits of calcium supplementation. Calcium is important for the prevention of osteoporosis in later life, though it should be noted that older adults may need to take extra amounts of calcium supplements; some may not absorb it as well as younger people. Calcium is also believed to reduce the risk of high blood pressure. Another bonus? If you suffer from the symptoms of premenstrual syndrome, consuming 1200 mg of calcium a day can reduce your symptoms by almost half. The best way to get the right daily amount of calcium is to eat a diet rich in calcium-containing foods. All dairy products provide calcium, including milk (non-fat dry, low-fat, skim, or whole), yogurt, cheeses, tofu, ice cream and ice milk. Other calcium-rich foods include seafood such as salmon, sardines (an excellent source with 370 mg of calcium in 3 ounces), and shrimp, as well as a number of plant sources, such as broccoli and green leafy vegetables. How Do I Know I&apos;m Getting Enough Calcium? When diet isn't enough, calcium supplements may be recommended to help you bridge the gap. These can be a great way to ensure you're meeting your body's needs. Some individuals, such as those with stomach or intestinal problems and those chronically taking steroid medications for the treatment of a medical condition, may specifically be recommended to take supplements, as these issues can result in a loss of calcium. Sounds simple enough: Buy a calcium supplement product, pop a tablet, and you're good to go. There are, however, a few things you should be aware of if you are going the supplement route. In addition, calcium supplements can interact negatively with some drugs. Pregnancy is a time when proper calcium intake is of particular importance. The growing fetus depends on its mother to provide a daily supply of adequate nutrients, including calcium for healthy growth and development. This does not mean that you should overload on vitamins and minerals, however, since too much may be harmful to the mother and/or the developing fetus. Talk to your doctor about meeting your calcium needs and doing it safely. If you decide to breastfeed your baby, you need to continue getting the correct amount of calcium so that your baby will grow properly. Remember not to overdo it, though; get the proper amount of calcium and other minerals and vitamins so that you don't risk causing harm to you and/or your baby. If you're clear to take calcium supplements but aren't sure of the proper amount and/or type of calcium supplement you should be taking, talk to your doctor. What Type of Calcium Supplement Is Best?